Look what I found! I was looking through some pics and I came across these. What fun we had in the snow! 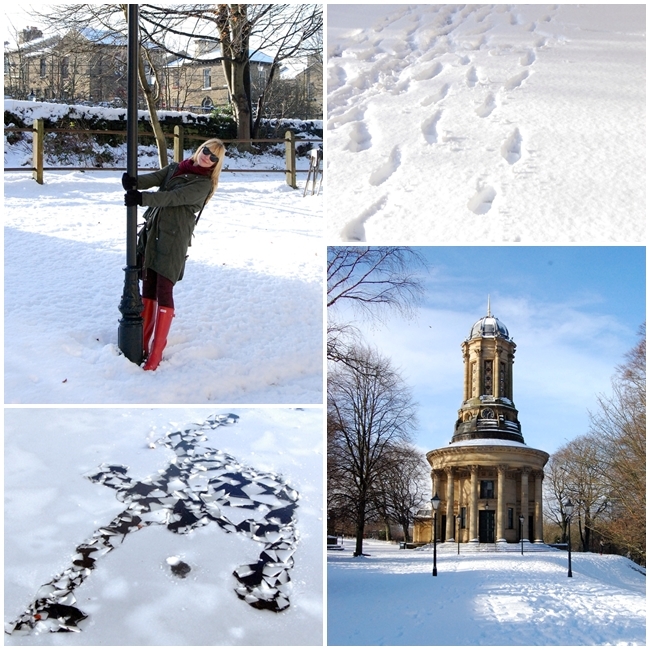 A few weeks ago we made a visit to Saltaire; definitely on our top ten places list to visit. I posted here about a visit we had last year. Hope you enjoy them! I invested in a warm jumper and a coat for this trip and I am so glad I did. Good old Topshop! Taking a walk through the park and along the canal; I love my faithful Hunter wellies! No amount of snow can stop me now! I had to feel sorry for the ducks; they didn't have much room to swim on the frozen canal! I turn into an overgrown child in the snow; as you can see here. 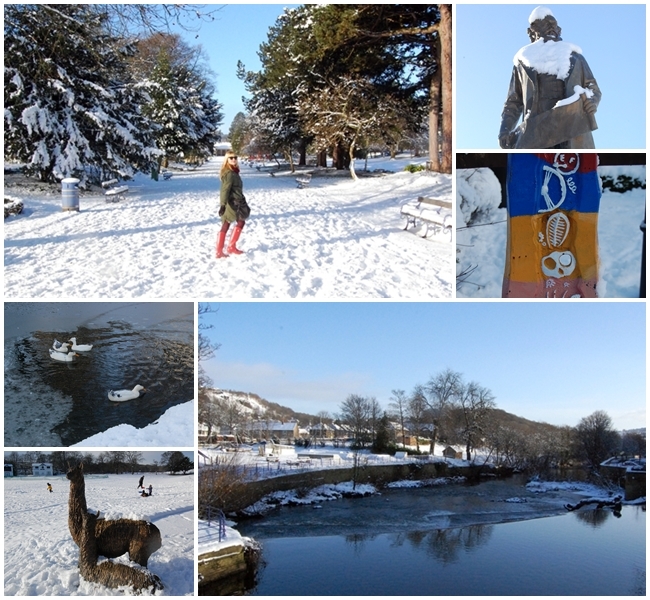 Fresh footprints in the snow and twirling round a lamp post pretending I am in Narnia! We both thought that the picture of the ice melting looked like a man! Do you enjoy the snow just as much as me? Hey sweetie, thank you so much for your kind words on my blog today. It means so much to have other passionate ladies who love style reading my blog. Your pictures are so beautiful, I love your jacket and shades of red look fab on you. Thanks for your lovely comment, this coat is so versatile too. It will definitely see me into spring.